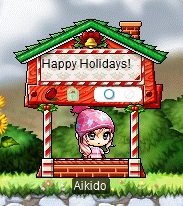 Cash Shop Update for November 29 | Dexless, Maplestory Guides and More! NOTE: These Cash Shop sales will be available following the game maintenance on November 29. November 29 to December 12 in the Appearance category in both Reboot and non-Reboot worlds. Check out the Male Hairstyles available now: Cool School Trim (NEW! ), Hoy Hoy Hair (NEW! ), Phantom Hair, Overgrown Hair, Randy Hair, and Wolf Tail Hair. Check out the Female Hairstyles available now: Flowing Locks Hair (NEW! ), Prim Air Hair, Voluminous Pigtails, Phantom Hair, Glam Shiny Hair, and Mystic Bobbed Hair. Check out the Male Face Styles available now: Insomnia Face (NEW! ), Beauty Face (NEW! ), Mouse-boy Face, Dylan Face, Moonlight Eyes, and Spoiled Boy Face. Check out the Female Face Styles available now: Insomnia Face (NEW! ), Beauty Face (NEW! ), Rosalia Face, Jewel Eyes, Spoiled Girl Face, and Crescent Eye Face. November 29 to December 19 in the Special Promotions > Limited Time category in both Reboot and non-Reboot worlds. Celebrate the arrival of Cadena with these permanent outfit packages, available as male and female versions! Ongoing beginning November 29 in the Equipment Modifications > Other > Item Tag category in both Reboot and non-Reboot worlds. Use the new Item Tag Clear item to erase the name engraved on an equipment item. To erase the name, click the Item Tag Clear in your inventory, then click the piece of equipment you want to erase the name from. This item cannot be used on Zero's weapon. Ongoing beginning November 29 in the Equipment Modifications > Miracle Cubes category in Reboot world only. Grab a 6-pack of Red Cubes or Black Cubes. Both types of Cubes are used to reset revealed Potential stats on equipment items. Black Cubes also offer the chance to decide whether or not to apply the new Potential to your item. November 29 to December 12 in the Special Promotions > Limited Time category in non-Reboot worlds only. Take home a beautiful Angel pet! Select from the soft and sweet Honey Angel, the tart little Lime Angel, and the completely approachable Peach Angel. Summon Angel pets to obtain the Angelic Choir skill, which will increase your Weapon Attack and Magic Attack. The skill will grow stronger as you equip more Angel pets. The individual pet package comes with an equip to wear, yummy pet food to eat, a Pet Name Tag, and some useful pet skills and scrolls. Updated November 29 in both Reboot and non-Reboot worlds. If you receive items from the Premium Surprise Style Box that you no longer want, you can exchange them with NPC Ari, located near the Free Market entrance, and receive an Avatar Box Stamp. You can receive one stamp per item. This stamp is permanent and untradeable. When you collect enough stamps, you can talk to NPC Shiro, also located near the Free Market entrance, to exchange the stamps for a permanent equip item of your choice! This system gives players in Reboot worlds an option to get rid of PSSB items they no longer want while still gaining value. Players in non-Reboot worlds can use this system as an alternative to trading the items. Click here to learn more about the Premium Surprise Style Box Stamp Exchange. November 29 to December 5 in the Special Promotions > Discounted category in non-Reboot worlds only. Adventurers work hard, and these Leveling Packages aim to make it easier for you to get all of the useful items you need! With three packages available, there’s sure to be one suited just for you. Choose from the Leveling Package, Deluxe Leveling Package, or Premium Leveling Package. November 29 to December 5 in the Special Promotions > Discounted category in both Reboot and non-Reboot worlds. Character slot expansions are discounted for a limited time! This is the best time to pick up an extra slot and create new character, Cadena! Each coupon increases the character creation slot by 1. Your account may hold a maximum of 42 character slots per server world. Grab a Quest Booster (2x EXP) to increase the EXP earned from quests to 2x the normal amount! The effect begins immediately. November 29 to December 5 in the Special Promotions > Limited Time category in both Reboot and non-Reboot worlds. November 29 to December 12 in the Special Promotions > Limited Time category in Reboot world only. Take home these beautiful Angel pets! Pick up Honey Angel, Lime Angel, and Peach Angel and let these little buddies join you on your adventures in Reboot world! November 22 (after maintenance) to December 12 in the Random Rewards category in non-Reboot worlds only. The Great Gachapierrot has added lots of new items! Check out the fun new Adorable Hamster House Chair, Capybara Hot Spring, and Carefree Carousel. Let your imagination run wild with the Shoot for the Stars Chair, Protagonist Chair, Snow Child's Hideaway Chair, and Crow Jar. Light up your life with the Rabbit Lamp Chair! Each time you sit on it, it changes color. Lounge around the house with the Pajama Party Chair, Peek-a-Boo Drawer, and Hamster Wheel Chair. Enjoy a tasty meal with the Imperial Cygnus Feast Chair and Phantom's Banquet Chair. Have a second helping with the Down Home Family Chair and Awkward Dinner Chair. Celebrate your love of Maple World in autumn with the Sparkling Maple Chair, Maple Crystal Chair, Maple World Chair, and I Love MapleStory Chair. Take control of your own planet with the Mercury Chair, Venus Chair, Earth Chair, Mars Chair, Jupiter Chair, Saturn Chair, Uranus Chair, and Neptune Chair. Get a new ride with the Air Dancer Mount, Honey Cat Mount, and Zooming Scooter Mount. These mounts are all available as permanent versions. Make a new friend with the Your Highness Mount, Ostrich Mount, Protect the Harp Seal Mount, Pegasus Mount, and Double Pink Unicorn Mount. These mounts are all available as permanent versions. Zoom around on the Steam Cylinder Wing Mount, Origami Boat Mount, Friend Mount, Magic Broom Mount, and Wind Breaker Mount. These mounts are all available as permanent versions. You can also enjoy the Nimbus Cloud Mount, Superhero Mount, and Together with Angel Mount. These mounts are all available as permanent versions. Take home a familiar too! The Rooster Familiar is ready to join you in Maple World. New mounts have also come to Andersen's Box! Get the Air Dancer Mount, Honey Cat Mount, Zooming Scooter Mount, Your Highness Mount, Ostrich Mount, Protect the Harp Seal Mount, Pegasus Mount, Double Pink Unicorn Mount, Steam Cylinder Wing Mount, Origami Boat Mount, Friend Mount, Magic Broom Mount, Wind Breaker Mount, Double Red Truck Mount, Superhero Mount, and Together with Angel Mount. These mounts are all available as 90-day versions. November 22 to December 5 in the Special Promotions > Limited Time category in non-Reboot worlds only. Take home these speedy little Bitty Car pets! Choose from Bitty Bus, Bitty Taxi, and Bitty Pickup, or take home all three. The individual pet packages come with an equip to wear, yummy pet food to eat, a Pet Name Tag, and some useful pet skills and scrolls. November 22 to December 5 in the Special Promotions > Limited Time category in Reboot world only. Take home these speedy little Bitty Car pets! Pick up Bitty Bus, Bitty Taxi, and Bitty Pickup and let these little buddies join you on your adventures in Reboot world!